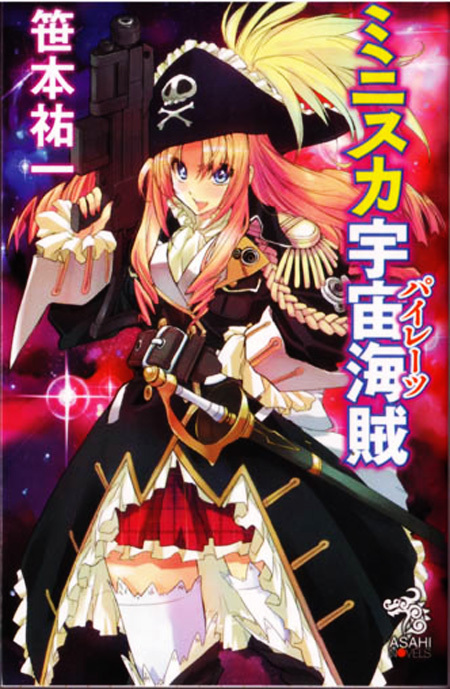 Marika Kato of Mouretsu Space Pirates. Hanners provides his usual round-up with succinct comments on each new series. Psgels organizes the shows by his own subjective “potential” rating, and points out the positives and the negatives. Sapphire Pyro has a less comprehensive view, but she reads a lot of manga, so her opinions on a show’s potential are quite useful. Caraniel takes the comprehensive route, but doesn’t mince words when sharing her point of view. There are probably a lot of other worthy season previews that have already come out, or will shortly. Sadly, regardless of which one I read, I can’t shake the feeling that this season doesn’t have an awesome show that I am ready to commit to on the spot. Nevertheless I present three shows after the jump that just might be worth watching. In a normal season, this is probably the show I would be picking as the show I am most interested in. It airs in the Noitamina slot, has historical elements, and the main character is an adult. I enjoy quirky shows that include observations about how people other than junior high students live. Here we have a show about an architect from ancient rome who gets transports through a “hot tub time machine” to present day Japan. The show seems to be set up to explore the social significance of public bath houses in the Rome of antiquity and Japan today. So why am I hesitant about this project? It will have only three episodes and uses flash animation. I’ll watch the show if subs are available, but it seems like this is little more than a commercial for the up-coming live-action film based on the same material. This one has a lot of name variants floating around, including: Miniskirt Space Pirates, and Bodacious Space Pirates. The show is supposed to be about what happens to a high school girl when she inherits her father’s space pirate ship. On the one hand: Space Pirate. This could be a fun adventure tale in the spirit of Captain Harlock. On the other hand: moe antics and school life could drag this one down. I still think it is worth checking out to see how it goes, but I can’t trust my hopes for this season on something with so little weight. I usually don’t pick comedies, but I have to say that the previews that were released for this show had me laughing. I’ll definitely be watching this show, and hopefully enjoying it. The humor is a curious mix of insightful situation-based humor, and wacky intensity. The crystal ball is cloudy this time, dear readers. In addition to new shows, Chihayafuru will be airing its second course, and there are several shows from seasons past that I never had the chance to see before. I’ll certainly find some interesting anime to watch, even if it isn’t from the new season. I hope you find something worthy of your time as well. Yeah, I’m gradually watching Persona as well. I guess one good thing about a weak season is that you get to catch up on some of the backlog. A weak season? But… but… MILKY HOLMES SEASON TWO! Can there BE another response than: “I rest my case”? There are only 2 shows that I really want to check out: Daily Lives of High School Boys and Another. Like you said, it was a pretty meh season and hopefully the other “potential” anime on list won’t disappoint me too much. I’m not a big fan of the Horror genre, so I’m not sure I will bother checking out Another. I certainly have seen a lot of excitement about it expressed by some bloggers, so it might be good for those who appreciate the genre more than I do. Surely you jest. Pretty girls. Giant space ships. Mini-skirts. If ever there was a recipe for deep introspection into the philosophical meaning of life and the harrowing visiccitudes of psychological maturation and spiritual enlightenment — this is it. Hah! I would love it if it turned out to be entertaining, but I won’t be counting on introspective vicissitudes. Huh! I just learned that the director of this seres is Tatsuo Sato, who also directed “Shingu: Secret of the Stellar Wars,” which was a very engaging and well-written piece of Sci-Fi. There might ACTUALLY turn out to be more to this series than one think from first blush. I have some genuinely hight hopes for it now. (He also directed “Martian Successor Nadisco(sp? ),” a series which also has a good reputation, but I’ve never been able to watch it, unfortunately. I haven’t watched any of those, so I can’t say anything except that I have seen positive comments about Martian Successor Nadesico as a Sci-Fi parody (which fits in with what we have seen so far of Moretsu Pirates). Anyway, we should get a better sense in about a week. Interesting that those are the 3 shows that piqued your interest in this upcoming season since they seem to all come from different perspectives and styles. Knowing your tastes (somewhat) this season looks pretty weak for you since there are a bunch of sequels and comedies but I’m sure some show will catch your eye and turn out to be a pleasant surprise. If not, we’ve still got Chihayafuru and a bunch of other great anime continuing into the Winter. Hope the season turns out better than you expect! I hope it turns out better than I am expecting as well! It is great that Chihayafuru is continuing, as that is one show that is pretty much guaranteed to deliver. Fortunately i have a lot of shows that I have been meaning to watch, but just haven’t gotten around to, so I can’t possibly be at a loss for something to watch. Thermae Roma should be good, watching Lucius marvel at modern conveniences/Japanese bathing habits is a little bit like Sasuke in Hyouge Mono (which I’m kind of behind on). It’s just a shame that it’s going to be three episodes of flash animation, even one of them would have been bad enough. On another note though it looks like they’ve put a lot of effort into the drama, hopefully we at least get raws for that. Yeah, flash animation almost always disappoints. I’m not sure I would bother watching the raws of the live-action version, because I probably wouldn’t be able to make sense of it. If I found it subbed, I probably would check it out, however. I’ve seen some reviews of the manga (in Italian) and they were all quite positive, but only covered the first volume. Well, I think the Winter season has a chance to be underrated. The Fall…I felt kind of disappointed in it. Hopefully some of the shows (Another, Area No Kishi, Daily Lives to name a few) are good! We’ll have to see what happens. I wouldn’t mind if Area no Kishi turned out to be good. I like sports anime — at least the ones that tell their story and end. I’m just not a horror fan, so I am not looking forward to Another.